Community gardens are about community, right? More often than not, community gardens are divided into smaller plots, in which individuals or families can rent a personal space for the growing season. But some gardeners prefer a more collective effort, where one big plot of land is worked cooperatively by the community. These communal gardens are a great idea in theory, but do they work? NPR recently aired a story on their radio show All Things Considered where they discussed this issue. They shared some instances where the communal-style garden was a success for the community, but also explained how these gardens oftentimes fail. The main reason for failure? 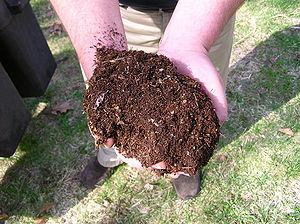 Community members lacked the time or commitment to maintain the garden. Jenn from Friends of Burlington Gardens told me about a community garden site here in Burlington that had tried to coordinate a communal plot. The garden has since switched to individual plots. The biggest reason for quitting the communal garden approach might surprise you… the garden produced a bountiful amount of food that went un-harvested. While I have mentioned theft in gardens before, here is an example of just the opposite: no one wanted to be too greedy about taking food that others might need more, and so food rotted on the vine! So, whether food doesn’t grow because there are not enough people committed to garden maintenance… or because people are shy about reaping the benefits of their hard work… the communal-style garden is not so popular. I prefer to have my own small garden plot because it feels less complicated. I still want to mingle with my neighbors and meet others in my community, but maybe I can do this well enough without the communal style plot. How do you prefer to garden? 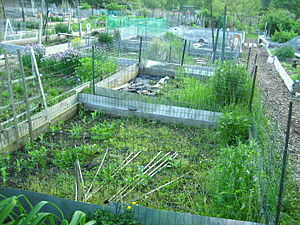 Do you rent your own garden plot? Do you share a communal plot? Or do you have a private garden at home? On a recent visit to Friends of Burlington Gardens, I found out that ReBUILD is also selling cold frames made from recycled window frames… ‘What a fantastic idea – how nice to see more affordable resources for gardening!’ I thought, and so did Jess… until she decided to ask if the window frames were coated in lead paint. The clerk said it was quite possible they were. Yikes. Lead is a serious problem for anyone, but it’s an especially large health risk for young children as it can affect development of the nervous system. Not only could a child be at risk through direct contact with the lead (say, if they touch or eat this sweet-tasting paint), but this cold frame would also leach lead into the soil and into the food we eat. The clerk added that a flyer with information on reused materials and lead exposure was available to customers who purchased the cold frames… but how many customers do you suppose actually read these warnings? Jess has since been in touch with ReBUILD, and I don’t doubt they’ll recognize the mistake and address this matter quickly. 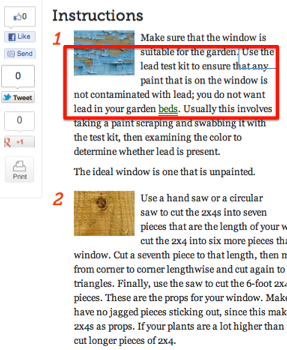 …But not every website on DIY cold frames will remind you of this warning. 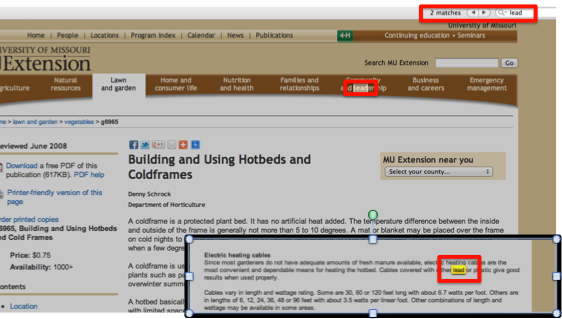 I could find any warning within the University of Missouri Extension’s detailed directions for building a cold frame. Lead exposure is a serious health issue, and yet I would argue, based on the ReBUILD story and my visits to several DIY websites, that we expect it’s on the consumer to watch out for lead exposure. If you buy a lead-laden cold frame or building supplies and plop that structure into your garden, it’s your own fault you were exposed to poison. Certainly, there are many, many resources available on lead risk and safely removing lead from a home in Vermont and from the EPA. But does that make it okay to sell a product that is almost undoubtedly going to result in lead exposure? I’m not a public health expert, but I suspect that the greater majority of people at least understand this: lead is detrimental to health. 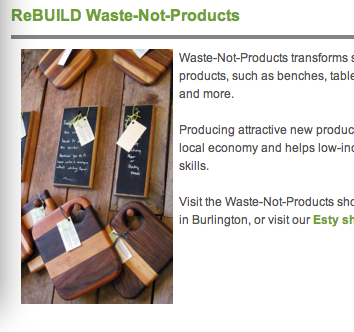 But are you 100% confident when you purchase reused materials or a product made from reused materials that it is not coated in lead paint? So, at the same time that we want to promote the health of our communities by increasing gardening activity and by working with affordable, reused materials, how do we be more conscious of the health risks? 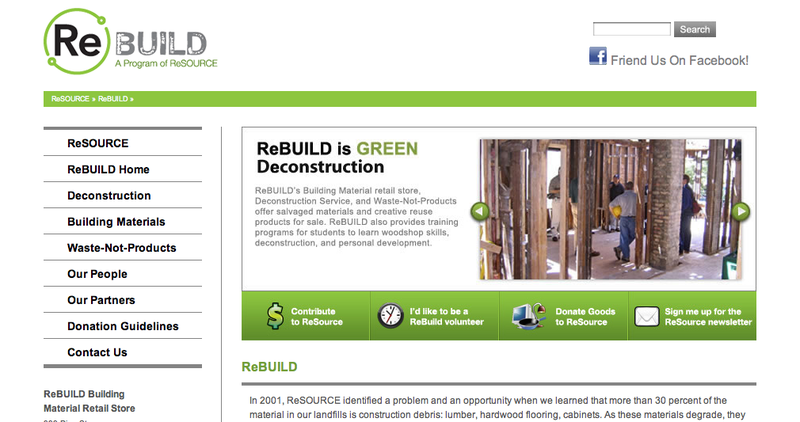 Do you think we need to place more liability on those who sell products or building materials containing lead? I’d love your feedback on this. And also consider that many DIY-ers will collect materials from yard sales and antique stores… maybe it is better to just leave it up to the consumer to figure it all out? Nothing BEETS sorting seeds, I’m sure you all MUSTa-heARD! It really brings me into a PEAS-ful state of mind…! And so this is how I broke out into vegetable puns this past week while visiting Friends of Burlington Gardens (FBG). After studying biochemical pathways and nutrition jargon, nothing could have been more enjoyable to me than my time sorting and labeling seed packets. During the past few weeks, FBG has coordinated a few workshops and events for the community to swap seeds, donated by area businesses. After these events, there were still several boxes of seeds remaining, which were to be used by the FBG’s summer garden program, as well as by other school and community gardens around the state. 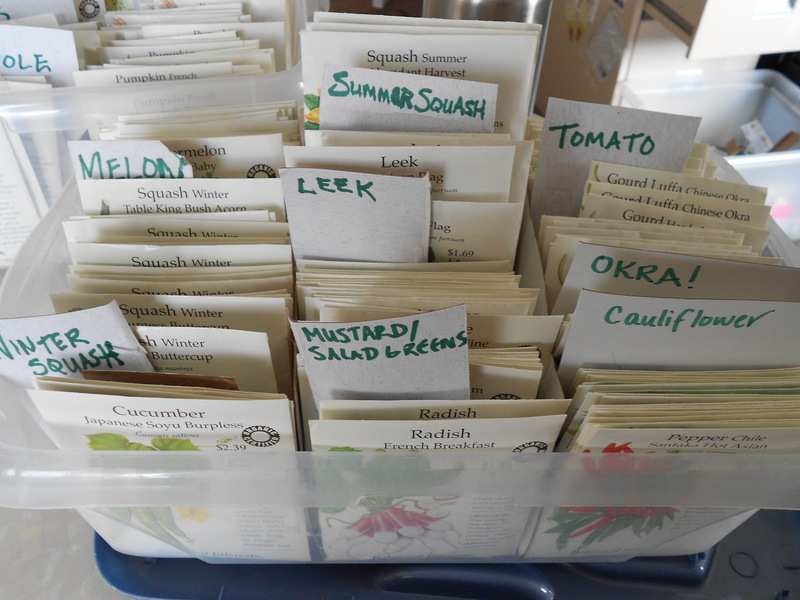 Among the seeds I sorted was a large selection of peas, green beans, winter squash, sprouts, pumpkins, summer squash, okra, and mustard greens. I tidied up a limited supply of celery, tomatoes, leeks, cauliflower, and eggplant. We also had an overflowing box of flower seeds, which the director decided was not even worth attempting to organize. In the upcoming weeks, garden coordinators will be invited to rummage through these seeds and select some to put towards their own gardens. Without having thought to ask, my feeling is that these seeds are a surprise ‘bonus’ which garden programs get to take advantage of while planting their gardens this year. 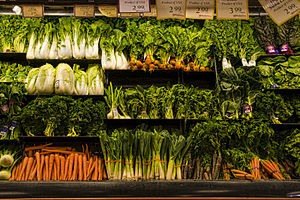 Other popular favorites, such as kale and salad greens and broccoli and carrots, may be supplied through other donations, or purchased through the garden’s personal budget. Finding a local seed swap, or at least a place to donate excess seeds, is a sensible way to have a diverse garden, prevent waste, and maybe make a few friends in the community, while you’re at it! I would love to hear how others plan their seed purchases and any seed-sharing stories!